This month, Israeli Defence Minister Ehud Barak declared that Israel must withdraw from Palestinian territories. "The world isn't willing to accept — and we won't change that in 2010 — the expectation that Israel will rule another people for decades more," he said. "It's something that doesn't exist anywhere else in the world." Is he right? Is peace even possible? And if so, what form should a final agreement take? Those are the questions we asked National Post writers in our series "What's Your Peace Plan?" 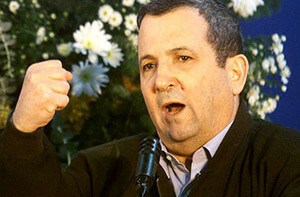 Ehud Barak, Israel's defence minister. My peace plan is simple: Israel defeats its enemies. Victory uniquely creates circumstances conducive to peace. Wars end, the historical record confirms, when one side concedes defeat and the other wins. This makes intuitive sense, for so long as both sides aspire to achieve their ambitions, fighting continues or it potentially can resume. The goal of victory is not exactly something novel. Sun Tzu, the ancient Chinese strategist, advised that in war, "Let your great object be victory." Raimondo Montecuccoli, a seventeenth-century Austrian, said that "The objective in war is victory." Carl von Clausewitz, a nineteenth-century Prussian, added that "War is an act of violence to compel the enemy to fulfill our will." Winston Churchill told the British people: "You ask: what is our aim? I can answer in one word: Victory - victory - at all costs, victory, in spite of all terror, victory, however long and hard the road may be." Dwight D. Eisenhower observed that "In war, there is no substitute for victory." These insights from prior eras still hold, for however much weaponry changes, human nature remains the same. Victory means imposing one's will on the enemy, compelling him to abandon his war goals. Germans, forced to surrender in World War I, retained the goal of dominating Europe and a few years later looked to Hitler to achieve this goal. Signed pieces of paper matter only if one side has cried "Uncle": The Vietnam War ostensibly concluded through diplomacy in 1973 but both sides continued to seek their war aims until the North won ultimate victory in 1975. Willpower is the key: shooting down planes, destroying tanks, exhausting munitions, making soldiers flee, and seizing land are not decisive in themselves but must be accompanied by a psychological collapse. North Korea's loss in 1953, Saddam Hussein's in 1991, and the Iraqi Sunni loss in 2003 did not translate into despair. Conversely, the French gave up in Algeria in 1962, despite out-manning and out-gunning their foes, as did the Americans in Vietnam in 1975 and the Soviets in Afghanistan in 1989. The Cold War ended without a fatality. In all these cases, the losers maintained large arsenals, armies, and functioning economies. But they ran out of will. Likewise, the Arab-Israeli conflict will be resolved only when one side gives up. Until now, through round after round of war, both sides have retained their goals. Israel fights to win acceptance by its enemies, while those enemies fight to eliminate Israel. Those goals are raw, unchanging, and mutually contradictory. Israel's acceptance or elimination are the only states of peace. Each observer must opt for one solution or the other. A civilized person will want Israel to win, for its goal is defensive, to protect an existing and flourishing country. Its enemies' goal of destruction amounts to pure barbarism. For nearly 60 years, Arab rejectionists, now joined by Iranian and leftist counterparts, have tried to eliminate Israel through multiple strategies: they work to undermine its legitimacy intellectually, overwhelm it demographically, isolate it economically, restrain its defenses diplomatically, fight it conventionally, demoralize it with terror, and threaten to destroy it with WMDs. While the enemies of Israel have pursued their goals with energy and will, they have met few successes. Ironically, Israelis over time responded to the incessant assault on their country by losing sight of the need to win. The right developed schemes to finesse victory, the center experimented with appeasement and unilateralism, and the left wallowed in guilt and self-recrimination. Exceedingly few Israelis understand the unfinished business of victory, of crushing the enemy's will and getting him to accept the permanence of the Jewish state. Fortunately for Israel, it need only defeat the Palestinians, and not the entire Arab or Muslim population, which eventually will follow the Palestinian lead in accepting Israel. Fortunately too, although the Palestinians have built an awesome reputation for endurance, they can be beaten. If the Germans and Japanese could be forced to give up in 1945 and the Americans in 1975, how can Palestinians be exempt from defeat? 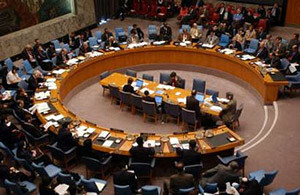 The United Nations Security Council, one factor extending the Arab-Israeli conflict. Of course, Israel faces obstacles in achieving victory. The country is hemmed in generally by international expectations (from the United Nations Security Council, for example) and specifically by the policies of its main ally, the U.S. government. Therefore, if Jerusalem is to win, that starts with a change in policy in the United States and in other Western countries. Those governments should urge Israel to seek victory by convincing the Palestinians that they have lost. This means undoing the perceptions of Israel's weakness that grew during the Oslo process (1993-2000) and then the twin withdrawals from Lebanon and Gaza (2000-05). Jerusalem appeared back on track during Ariel Sharon's first three years as prime minister, 2001-03 and his tough stance then marked real progress in Israel's war effort. Only when it became clear in late 2004 that Sharon really did plan to withdraw unilaterally from Gaza did the Palestinian mood revive and Israel stopped winning. Ehud Olmert's debilitating prime ministry has been only partially remedied by Binyamin Netanyahu over the past year. Ironically, an Israeli victory would bring yet greater benefits to the Palestinians than to Israel. Israelis would benefit by being rid of an atavistic war, to be sure, but their country is a functioning, modern society. For Palestinians, in contrast, abandoning the fetid irredentist dream of eliminating their neighbor would finally offer them a chance to tend their own misbegotten garden, to develop their deeply deficient polity, economy, society, and culture. Thus does my peace plan both end the war and bring unique benefits to all directly involved.